Mortgage everything, get locked up in jail and avoid Park Lane if you want to win Monopoly, according to the UK and Ireland champion. Natalie Fitzsimons (24), from Saintfield, Co Down, beat her husband in the heats before winning in an hour-and-a-half long final against three opponents. But the winner's tips for success go against the grain. Instead of splashing out on hotels and lavish addresses, Natalie recommends avoiding Park Lane as it is the least landed on square, and sticking to just three or four houses. She said: "Once you've reached three houses, the amount that the rent increases each house maxes out. If you want to use your money wisely, stick to just three houses. " Natalie also recommended mortgaging everything to buy more property, and landing yourself in jail. "This always feels a little like cheating, but I never know why other people don't do it. 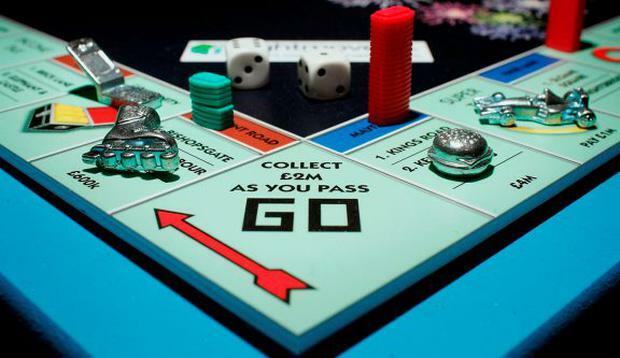 As soon as you get a monopoly yourself, mortgage everything else and spend every penny on houses. A monopoly with three houses on each square is far more valuable with lots of low-rent single property squares. You can always unmortgage them later in the game. "Early in the game you want to get out of jail as soon as possible. But once all the property squares have been bought sometimes the best thing is to wait patiently in jail, avoiding expensive rents while still collecting rent on your properties." She added: "I'm ecstatic to have won, and so surprised! I didn't think I'd even beat my husband in the heats, let alone win the whole thing." The championships were held in London, and Natalie will now go on to represent the UK and Ireland at the Monopoly World Championships in China this September. The ultimate winner will receive $20,580 - the total amount of money included in the US version of the board game.